Hey there! I haven’t gone running in a while because I have some major pain in my right knee. I asked my doctor about it today. I love that she doesn’t do the catch all “It’s because you’re fat.” Which, of course I know that has something to do with it, but I like that she also pays attention and looks beyond my weight. She said that a lot of women suffer from Runner’s Knee because of how our hips and legs are naturally aligned, even if we aren’t runners. I did a little Google research and found that hip strengthening exercise can help with runner’s knee. That probably explains why my knees feel soooo much better after hot yoga, which warms my muscles and is full of stretches and hip openers. TIP #1 I found a great video with some easy to do hip strengthening drills. Check it out. Tip #2 Rebuke the Liquid Satan! A.k.a soda pop. Years ago, I stopped drinking soda and miraculously, I no longer needed to wear a knee support brace when working out. But now, soda is free and in abundance at work, so I gradually started drinking more. Not a lot, but you know, like an afternoon pick me up once or twice a week. Soda makes your knees hurt folks. Trust me. If you haven’t already, please give it up. Wean yourself off of it. Just try. Your body will thank you. It might be tough, but worth it. 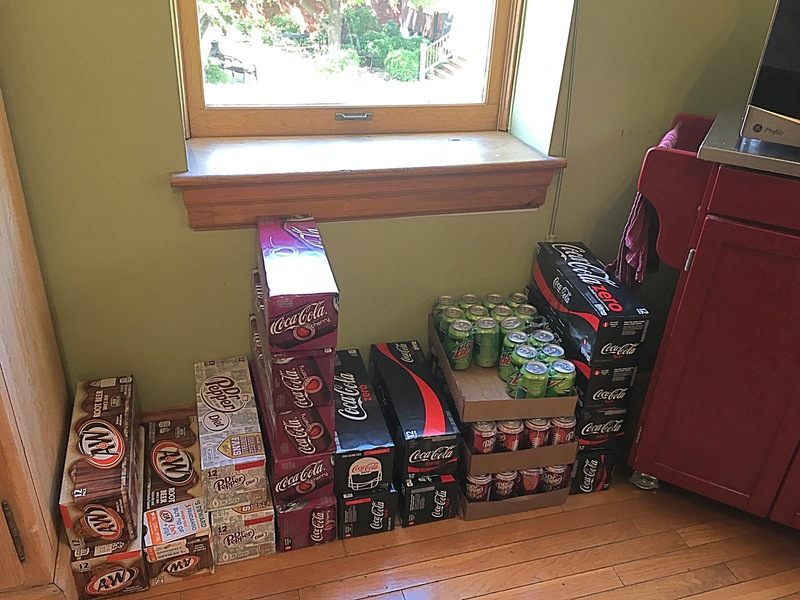 I was super addicted to soda 7 years ago. I drank it everyday, several times a day. But I was able to kick the habit, and so can you. I’m so done with it, after a couple of weeks of what I can only describe as a regrettable memory lapse where I even considered drinking it. I’ve fully cut it out (again.) And hopefully, my knees and my body will see the difference. So, if you have runner’s knee, try some hip exercises and choose to leave the soda alone. You’re worth it!